Long lines can be hard to read in emails, so it's always good email etiquette to break the lines of your messages to about 65–70 characters. You can adjust the character number at which a line break occurs in both Outlook and Outlook Express. When you do this, the email client will automatically break your sentences away from their current lines and make new ones, effectively shortening the length of all your outgoing emails. It's similar to narrowing the margins of the writing space. The steps for wrapping long lines in Outlook depend on the version you're using. Outlook 2016–2010: Go to File > Options > Mail and look for the Message format section. Choose a number from that menu to indicate at what character Outlook should wrap text. Outlook 2007 and previous versions: Open Tools > Options > Mail Format and click the Internet Format... button. Pick a number from the drop-down menu. Text will wrap at a maximum line length of 76 characters when wrapping is set. The break will not be done in the middle of a word, but before the word that puts the line over the configured length. This setting applies only to messages you send in plain text. Emails that contain rich HTML formatting automatically wrap to the recipient's window size. Configure where Outlook Express wraps lines from the Plain Text Settings option. Navigate to Tools > Options... from the menu bar. Select the Plain Text Settings... button from the Mail Sending Format section. 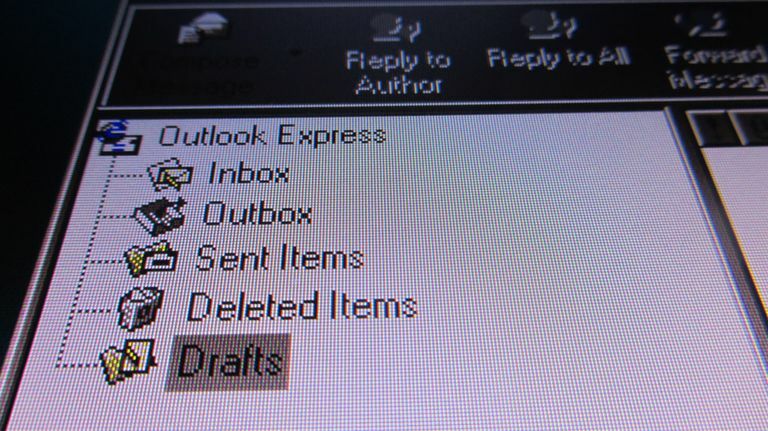 Specify at how many characters should be wrapped in Outlook Express for outgoing emails. Use the drop-down menu to pick any number (default is 76). Press OK to save the changes and exit the Plain Text Settings screen. Just like with Outlook, this option only applies to plain text messages and controls how the message is being received by the recipient. It doesn’t apply to HTML messages nor what you see while composing the message itself. Outlook Express is a different application from Microsoft Outlook. The similar names lead many people to conclude, incorrectly, that Outlook Express is a stripped-down version of Microsoft Outlook. Both Outlook and Outlook Express handle the basics of internet mail and include an address book, message rules, user-created folders, and support for POP3 and IMAP email accounts. Outlook Express is a part of Internet Explorer and Windows, while MS Outlook is a full-featured personal information manager that's available as a part of Microsoft Office, and also as a stand-alone program. Outlook Express is discontinued while Outlook is still in active development. You can purchase Microsoft Outlook from Microsoft.